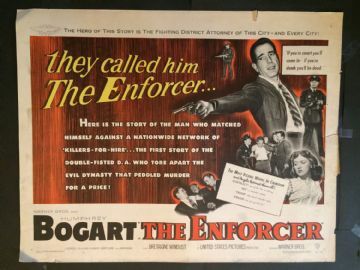 The Enforcer (Warner Bros,1951) US Half Sheet 22"x28"
A crusading district attorney finally gets a chance to prosecute the organizer and boss of Murder Inc. Fabulous film-noir starring Humphrey Bogart and Ted de Corsia. The poster has a couple of repaired tears on the right hand side. There are a few border tears and wear. 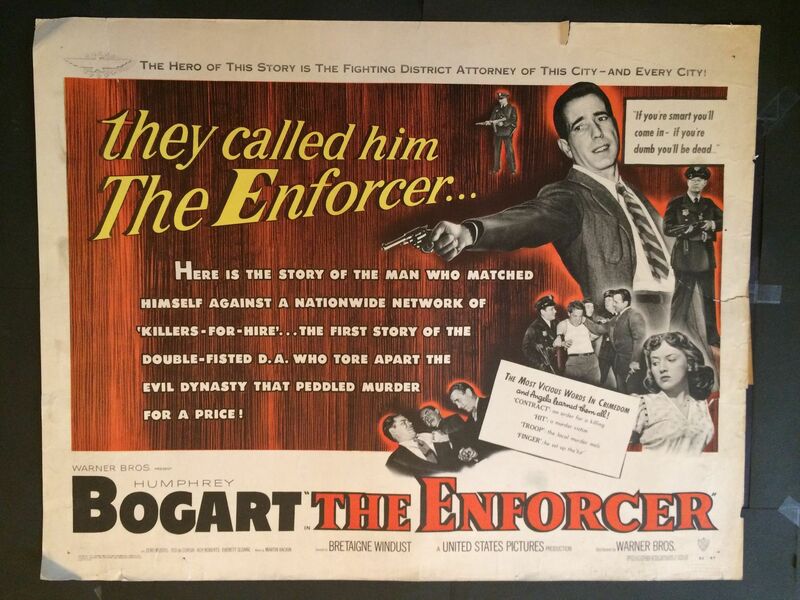 This poster has never been rolled and in my opinion would benefit from a simple paper-backing. It displays really nicely as is. Grade: (C4) Very Good .